Pardee Properties runs its 55-agent firm as one big agent team. 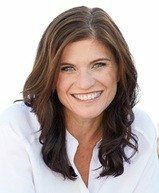 By centralizing agent services and focusing on company culture, founder Tami Pardee helps ensure clients get top-notch service. Firm expects to bring in a profit of $6.5 million in this year. Earlier this summer, Los Angeles architect Rikki Binder was mulling over whether to sell her 2,500-square-foot, three-bedroom Playa del Rey, California, bungalow and asked a client to refer a real estate agent. The acquaintance sent her to broker Tami Pardee, a real estate force of nature who met Binder at her architecture firm headquarters soon after the introduction. Binder was sold then and there. “Tami swept me away with her magnetism,” she said. Pardee’s beachy-chic attire — tank top with a blouse — set a professional tone, but her enthusiasm and clarity convinced Binder to go all in with her and list her property. Binder lives and works in Pardee’s core market: West Los Angeles, a spot west of Interstate 405 that includes tony beach areas Venice and Santa Monica. Pardee Properties expects to turn a $6.5 million profit this year on a sales volume of $600 million and approximately 350 transactions. Last year it did $417 million in sales on 250 sides. Binder said she will never use another agent, a sentiment that explains Pardee’s firm’s blazing success and a testament to her business model’s unique design. Pardee runs her 55-agent, 10-year-old firm, Pardee Properties, less as a brokerage and more as a real estate team — a design whose success she thinks heralds real estate’s future. Tami Pardee is speaking at Luxury Connect on October 22 in Beverly Hills. “The traditional real estate model is completely broken,” Pardee said. By centralizing the marketing, technology and staff needs of her agents, Pardee’s brokerage resembles a real estate team. It’s a model that’s catching fire for agents across the U.S., but unusual for a brokerage. The division of labor that comes with a team allows the firm to provide efficient, focused service to its clients, Pardee said. 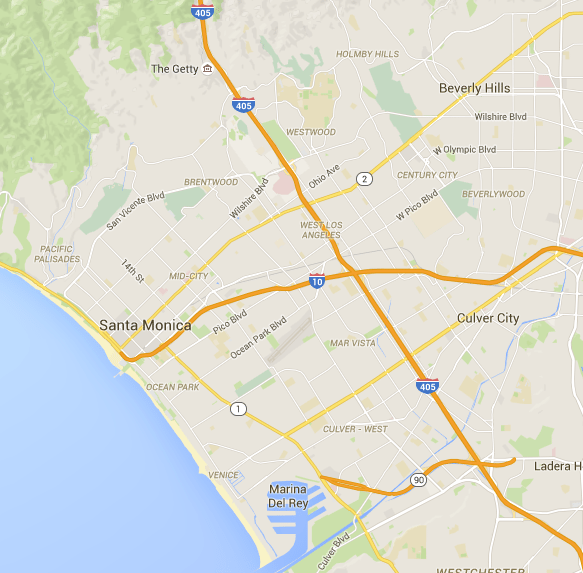 Pardee Properties’ core market is in Los Angeles, west of Interstate 405. The firm also exudes the personal pride in craft and brand common among other thriving independent brokerages run by driven, passionate leaders like Pardee. Pardee Properties has five salaried listing agents and 20 independent contractor buyer’s agents. The other 30 licensed agents perform various administrative and support roles at the firm. The firm also has 15 unlicensed staff. Pardee aims to have as many licensed employees as possible; she wants them all able and wanting to do more. Also, if her staff is licensed, there’s less of a chance they’ll mess up a transaction, she said. Pardee is the head of the team. Senior listing agent Tiffany Rochelle is next on the depth chart. Either she or Pardee attends every listing appointment along with one of the firm’s listing agents. Pardee Properties’ agents make up the next level of the team, followed by transaction coordinators, assistants and other staff. Traditional firms make their money by taking a cut of agents’ commissions. They tend to view agents as their clients. Pardee views consumers as her clients because her firm makes much of its money directly from them, not from its agents. Buyer’s agents work on a 50-50 commission split, a bottom-of-the-barrel cut for an agent. They’re happy to pay that because the firm’s sterling reputation helps spoon-feed them motivated buyers, Pardee said. They don’t have to look for business. For example, buyer’s agents host Pardee Properties’ many open houses, where they hook motivated buyers already groomed by the firm’s marketing and style. The firm holds roughly 30 open houses each weekend year-round, Pardee said. In addition, the market’s high average sales price of approximately $1.8 million means that the split is still lucrative. Pardee is experimenting with bringing buyer’s agents on as full-time employees. She likes the complete control over experience and systems that comes with the employee model. All staff members receive bonuses. Average annual income stands at approximately $140,000, Pardee said. Listing agents make on average between $150,000 and $225,000 each year; buyer’s agents typically make between $100,000 and $250,000 annually. Salaried agents receive benefits, a company credit card, a cellphone, and access to tickets for Los Angeles Lakers and Los Angeles Clippers basketball games to woo clients. Some agent teams have as many agents as Pardee Properties. However, Pardee’s brokerage-as-team covers all the overhead that comes with running a firm, not just a team, including insurance, office space and other expenses that run between $400,000 and $450,000 each month. The brokerage pays for and handles all marketing and technology for its agents. It spends approximately $140,000 each month on marketing. Those dollars go to Zillow, Trulia and realtor.com, postcards sent out to its farm area, social media marketing, search engine optimization, and events and sponsorships. Each year, the firm spends approximately $216,000 on Zillow, $170,000 on Trulia (that will be different this year, since Zillow Group has recently merged Zillow and Trulia’s ad products) and $70,000 on realtor.com. This spend gives Pardee Properties a presence in its market online to match the one in the real world marked by for-sale and open house signs. Pardee estimates that her firm has 1 out of every 5 listings in its core market. “The impressions we receive (from the portals) and having our image next to other competitors at least gives us (the) chance to be in the running when consumers make a decision on who to go with,” said Louis Leal, Pardee Properties’ vice president of marketing. Twice each month, the firm blankets its market with postcard mailers announcing recently sold homes, featured listings, open houses and holiday-themed notes. Each quarter, it also sends out a market mailer. Pardee Properties sometimes runs quirky campaigns, as well. It recently hand-delivered 40,000 branded sunglasses in a summer door-hanger marketing event. Pardee Properties’ model, marketing and customer service power the firm’s success, not so much its technology. Leal describes Pardee Properties’ technology as functional, but not cutting-edge. The firm is currently building out a new website that it expects will boost its placement in search results on the large search engines. The firm uses a customer relationship management platform not specifically designed for real estate. Leal calls it powerful, but the firm has had to “bend” it to make it work. It’s currently hunting for a CRM solution with digital transaction management capabilities built in. In particular, it’s looking for a system that helps facilitate compliance to its workflow and allows transaction coordinators to participate seamlessly with a transaction. DocuSign Transaction Rooms, dotloop, Salesforce and Realvolve are among the firms in the running, Leal said. Justin Alexander, 31, the Pardee Properties listing agent who oversaw the sale of Binder’s home, was wooed by Pardee, just as Binder was. He came to the firm five months ago from a local luxury brokerage after working opposite Pardee on a deal. Pardee Properties’ one-big-team design eliminates any feeling of competition that he felt between teams at the other firm where he worked, he said. Pardee also works to spread the enthusiasm that dazzled Binder and Alexander throughout the company with quarterly get-togethers, yearly retreats (river rafting, hotel stay in the desert), frequent impromptu drinks and movie nights, and careful hiring. 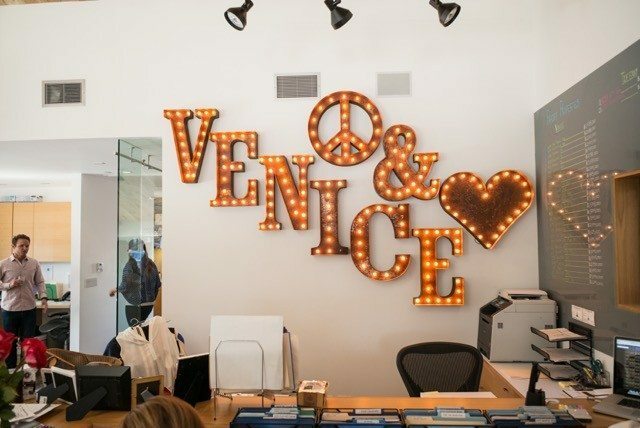 Pardee Properties’ L.A. vibe shines in its Venice office. “We’re a ship,” Pardee said, and she’s vigilant in piloting its course. Each hire gets three interviews, background checks and meets with the whole team. This culture seeps into the firm’s customer service. Clients never have to wonder where their agent or company rep is, because there’s always someone on call to handle questions. The team dynamic also fosters client-focused behavior; listing agents and staff get paid regardless of whether a client closes on a home, which facilitates a client-first mentality. Pardee also gives back. Every quarter, the firm donates $50,000 to $75,000 to a homeless charity. Overall, it has donated $744,000 to charity, Pardee said.